The exploration of dystopian society isn’t exactly a new one for television, but it’s certainly one in which star Josh Holloway has plenty of experience. USA Network’s “Colony,” which reunites the actor with executive producer and “Lost” collaborator Carlton Cuse, pits Holloway in a not-so-distant L.A. future in which invaders (alien or otherwise remains unclear — the show never says) have taken over and humans are forced to live in oppression. There are those who have aligned with the invaders, such as Proxy Alan Snyder (Peter Jacobson, in a seemingly tailor-made role) and are privy to a luxurious world of goods and comforts. Then there are those like mechanic Will Bowman (Holloway) and his wife Katie (Sarah Wayne Callies), who manage to get by with their two children and a dog by exchanging oranges they grow in their backyard for other necessities, all the while pining for their missing son, who was separated from them during the invasion. On the surface it’s a calmer existence than most futuristic offerings, in which citizens abide by a curfew and pedal bikes everywhere in lieu of cars. But upon closer examination necessities like insulin and freewill are hard to come by, creating an underground resistance of people that helps open up the pressure points of the show on a weekly basis. In the pilot the story begins to crack when Bowman makes a play to find his missing son, resulting in his capture and exposure as a former FBI agent with skills the invaders need to fight the resistance. Through what essentially boils down to blackmail he eventually agrees, with the seeming support of his wife. But as viewers quickly note, Katie herself is a part of the resistance, and this quickly sets up an internal family conflict within the larger context of the societal turmoil. 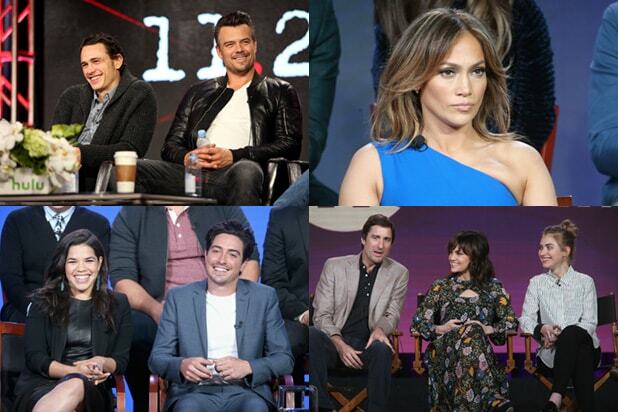 If at this point you’ve managed to become invested in the characters, odds are you’ll be on board for the rest of the season. The first hour, though rife with setup, is also packed with tense moments that showcase both Holloway and Callies’ dramatic range free from the comedic relief that typically pairs with these types of offerings. Perhaps that’s to the show’s detriment in Holloway’s case, as the actor has proved time and again he’s a leading man worthy of glib one-liners while saving the day. In Callies’ case though it’s important to set Katie up as an independent heroine away from her husband, given the actress’s track record of picking projects (“Prison Break,” “The Walking Dead”) in which audiences have turned on her for “meddling” too much in the leading men’s lives. Through it all, it’s clear this is a project intent on focusing on the aftermath of the invasion rather than addressing the cataclysmic event itself, as the show addresses human nature and just how far one will go to survive. Does one choose family or humanity when backed into a wall, and where does one draw the line between the two? Although there’s nothing new here, per se, it’s still a solid hour of watchable drama that often plays out more like a movie than a television series. In terms of cinematic experience this works, but beyond a first season it’s hard to see where the show can open up and take viewers beyond that initial run without delving into the events of the past. Given the origins of the story (the show was inspired by images of French collaborators at extravagant dinner parties while Nazis occupied the streets of Paris) it’s a place the writers will eventually have to go to lock in audiences and avoid the procedural tone that threatens to weigh the show down. For now, it’s enough to secure a first season investment. 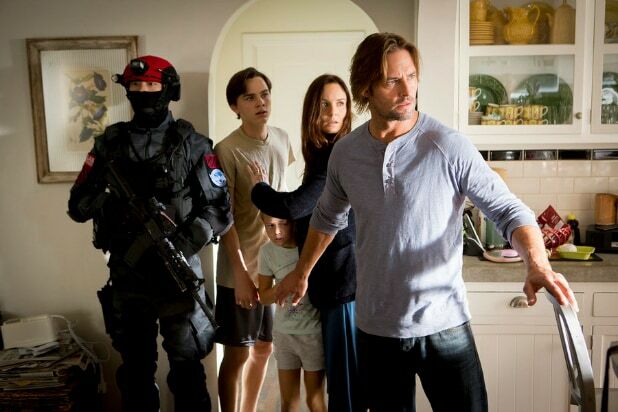 “Colony” premieres Thursday, Jan. 14 at 10 p.m.